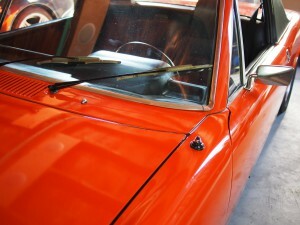 The more I read about the 914, the more I’m realizing that even simple cars are really not simple. 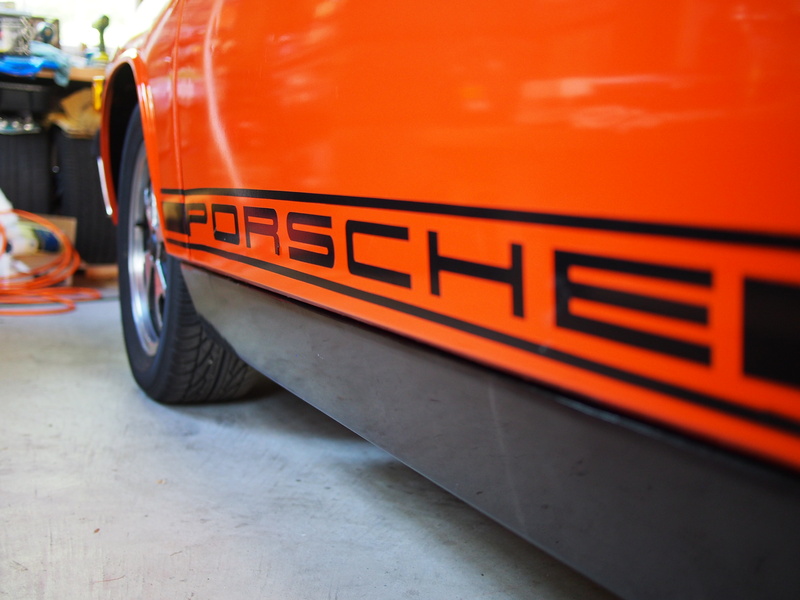 With a fairly short production run from 1970 to 1976, and not too many running changes in the car, I would guess that the 914 is a good introduction to “classic cars” – that is the fun that is chasing down rare parts, odd issues, and figuring out whether something is really even an issue or if it’s supposed to be that way. In the wacky things column, I’ll have to put the windshield washer setup. In the 4-cylinder cars, it appears that the spray function is not run from a pump or something normal. 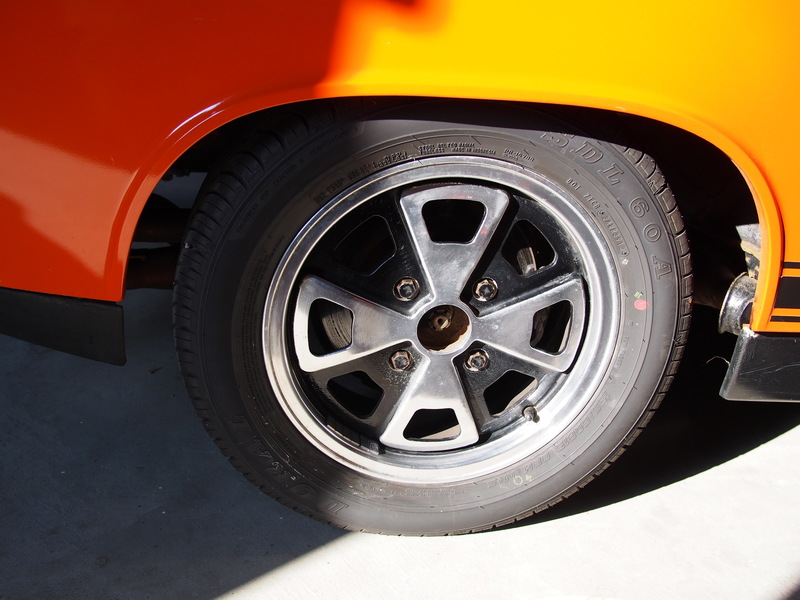 To build pressure to squirt fluid onto the windscreen, they hook the fluid tank up to a rather interesting source of pressure – the spare tire! I guess it works and was a funny strategy used often by VW. You’ve got a pressure vessel stuck in the car already, so why not use it? 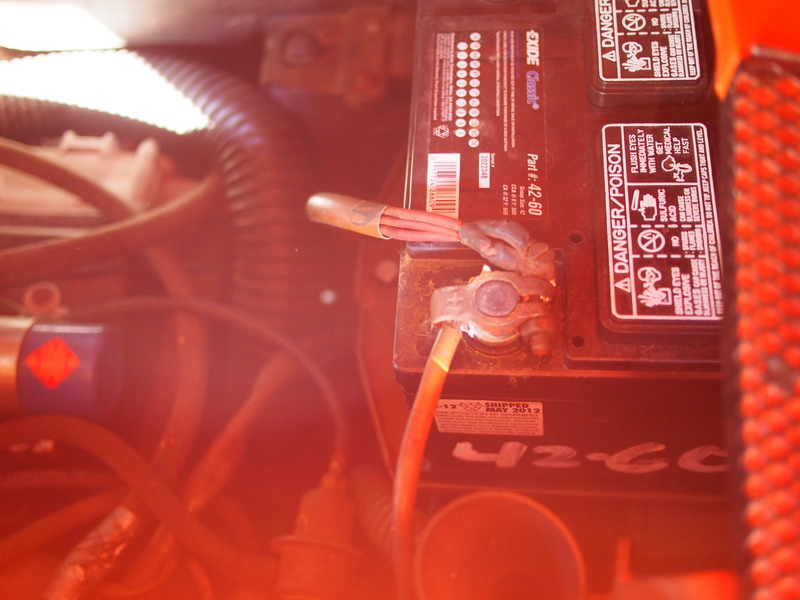 A well-known, crazy thing is that the battery sits in the engine bay right under a grate that provide for engine cooling. It gets hot in the engine bay and batteries don’t love heat. Or cold. Or anything or anyone, really. They also don’t benefit from being spritzed with water periodically. I know, surprise! Electricity and water aren’t friends! And they leak a bit of battery acid onto the support below, the “hell hole”, which rusts and breaks and is probably the most known flaw of Porsche 914s. 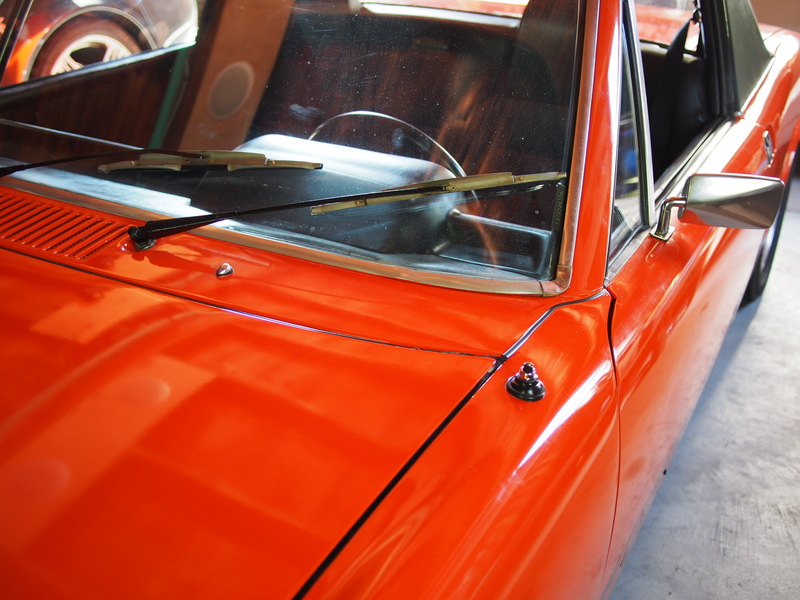 Luckily the 1973 we have is a later car, but up to 1973 the passenger seat was fixed. 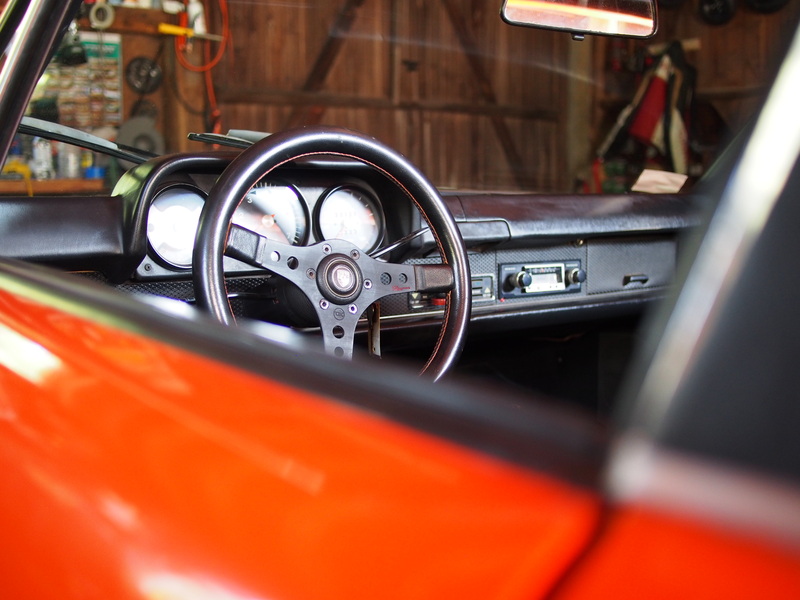 Generally sounds like no biggie but the passenger compartment in a 914 is pretty good sized for what it is. And a passenger might want to steady themselves using their feet sometimes. With a fixed seat, its not possible. So Porsche made some wacky little foot rest thingy and clipped it in there for a while until finally coming to their senses in ’73 and making the passenger seat move. Ours slides forward and tilts back even – giving it some recline. Not bad stuff, actually. But foot rests? I thought only Rolls Royce ever thought those were a good idea. I want to put lack-of-braking-power into this category too! It is crazy to stomp on the non-loud pedal and wait. And wait. And hope. And pray. And wait some more. Before finally coming to a stop. It certainly keeps speeds down. But also makes for exciting driving everywhere when you know you can’t do a panic stop if you have to. They sure lived on the edge in 1973! I think it’s a little crazy to have so little info about what’s going on in the engine too. Our car has an odd option mix, it seems. It didn’t get the “appearance package” which would have included a nice center console with more gauges (oil temp, volts, and a clock!). So we just have rpm, speed, fuel level, and some lights (oil, handbrake, generator). I’d really like to know oil temp. Fitted on the car now is a period aftermarket steering wheel – made by Raid/Racemark who worked on it with Mark Donohue. That makes it pretty special right there. I guess there was a squabble and Racemark wasn’t allowed to keep Mark’s signature on it. Ours doesn’t have the signature on it unfortunately. It’s still work a few hundred quid on its own, from what I can gather from eBay listings. I’m sure I’ll find more oddities to come but that’s enough for now.